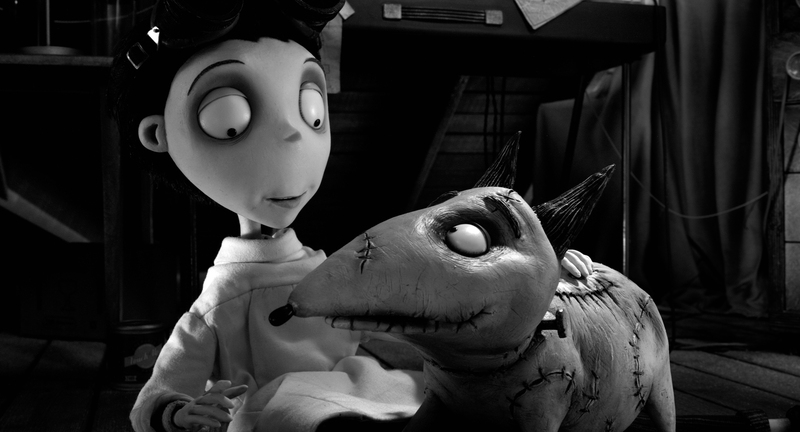 "FRANKENWEENIE" (L-R) VICTOR and SPARKY. .."Frankenweenie" is a new stop-motion, animated comedy from the creative genius of director Tim Burton. Presented by Walt Disney Pictures, "Frankenweenie" opens in theaters on October 5, 2012. ..©2012 Disney Enterprises. All Rights Reserved.